It’s time to clear the air. 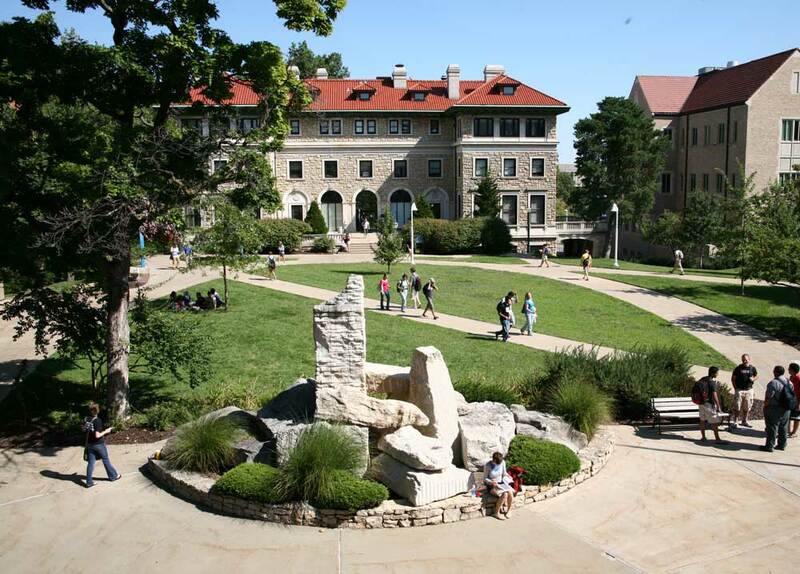 The University of Missouri-Kansas City is committed to making our campuses a healthy places to work, live and learn. As of August 1, 2014, UMKC will be smoke- and tobacco-free on both its Volker and Hospital Hill campuses. Whether you’re a student, an employee or a visitor to UMKC, we can help you abide by our smoke- and tobacco-free policy. We’ll explain how the policy might affect you, show you the areas where the policy applies and point you to resources to help you kick the habit or manage your cravings. Together we’re making our beautiful campus a cleaner, healthier place for all Roos. Smoking is not allowed on the UMKC campuses as of August 1, 2014. UMKC employees, students and visitors who wish to smoke must leave campus before lighting up. Smoking is prohibited inside all UMKC buildings, but may be permitted outdoors off UMKC property. Visit our policy page to learn more. Can I smoke in the parking garages? No. Parking garages are university-owned property. Do I have to quit smoking? No. The university is not asking anyone to quit. This policy simply means that no one can smoke tobacco products on the University of Missouri-Kansas City campuses. To alleviate common cravings and to feel more comfortable while on campus, tobacco users may purchase nicotine gum or patches or work with a UMKC smoking cessation coach. If you want to quit smoking, we can help you find the resources you need. While walking between classes, I see people smoking on the sidewalks. Is this allowed? It depends upon the location of the sidewalks. UMKC's smoking ban does not apply to public rights of way (sidewalks/streets) within the campus boundaries, as these are governed by City of Kansas City ordinance. A sidewalk that is adjacent to a city street is generally considered a public right of way and smoking is permitted. On the other hand, sidewalks that traverse the distance between the city streets to campus buildings are on UMKC properties, where smoking is not allowed. UMKC is an equal opportunity/affirmative action institution. E-mail questions or comments about this website to webmaster@umkc.edu.